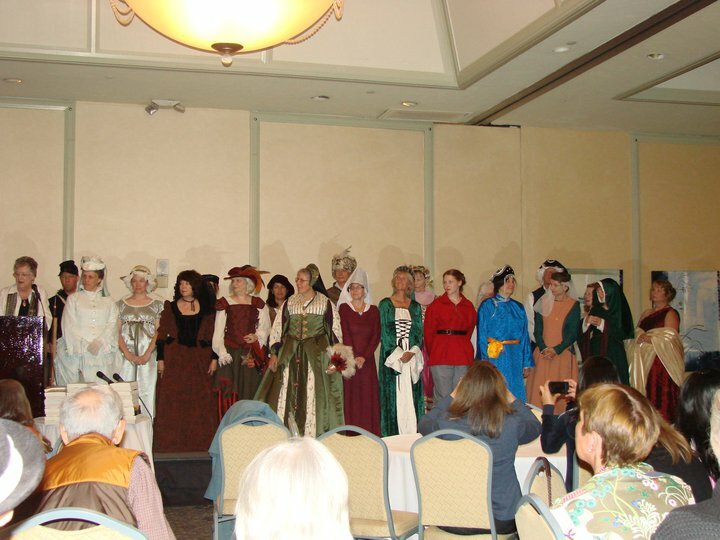 The Historical Novel Society conference in San Diego was wonderful! Historical novelists are such interesting, funny and fascinating people. I enjoyed chatting with people at dinners, listening to authors and editors at workshops, volunteering, and dressing up! 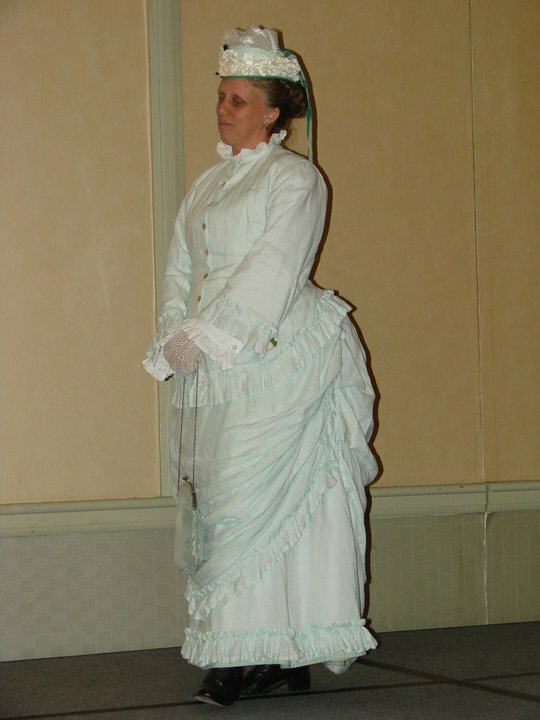 My favorite session was put on my Karlee Turner Etter and was called Nineteenth Century Fashion, From the Inside Out. This dress represents what a middle to upper middle class woman would have worn in the 1880s / 1890s in America, and thus is similar to how my own Miss Olivia Snow would dress. I wore my own costume in the Saturday evening costume pageant. 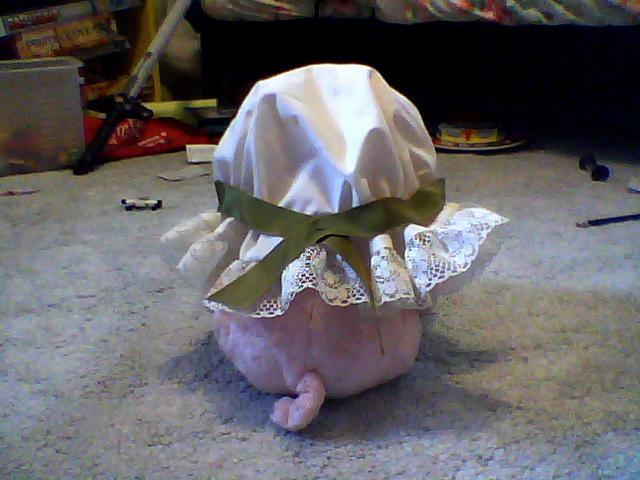 I had nothing to do with making it, and would thank its creator if I had her name. 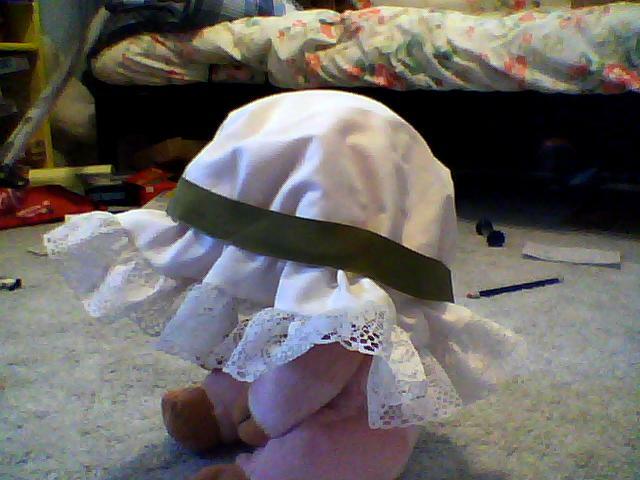 This dress was a gift, but my aunt and I did make the mobcap. 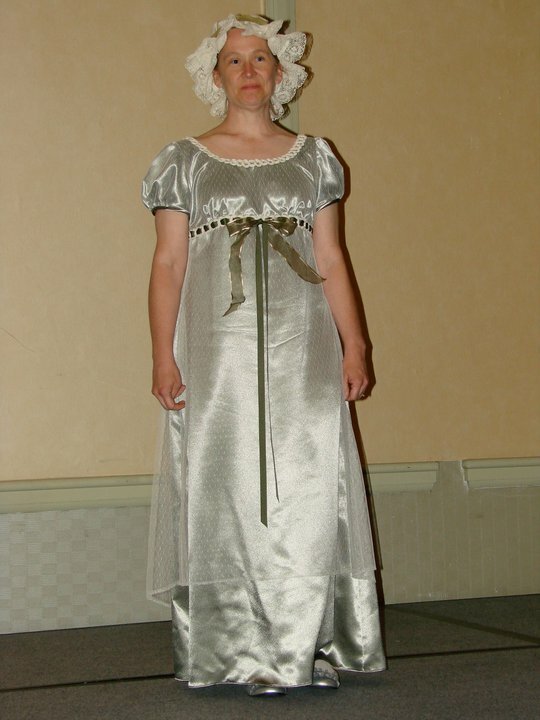 Although I think my regency gown is beautiful, I hate how I look in it. Those high waistlines are so unflattering!